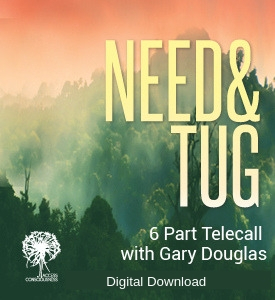 Welcome to Need & Tug Teleseries! This teleseries is based on the book, The Place. In the novel, Jake asks the earth for gold based on a point of view of need. The Place shows us how you can pull from need instead of how you make a problem from need. What is Need & Tug Teleseries? Most people go "Oh, I need this!" but it's not an energy of invitation it¹s an energy of rejection. So this is the place where you use how you "need" in your life to get the universe to support you. We usually look at what we have to create in the world to know what we would like to have. So if you would like to actualize something in your life, or create it, you have to be willing to ASK for it too. When you ask for something the ASK is as important as it is to know what it is that you desire and need... It’s a whole different universe about how things can be created. When you have the need - when you ask for something - you open the door to things starting to create. A whole different universe becomes available. And you actually become the attraction for that to show up in your life.